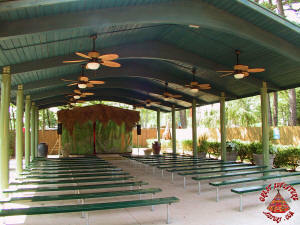 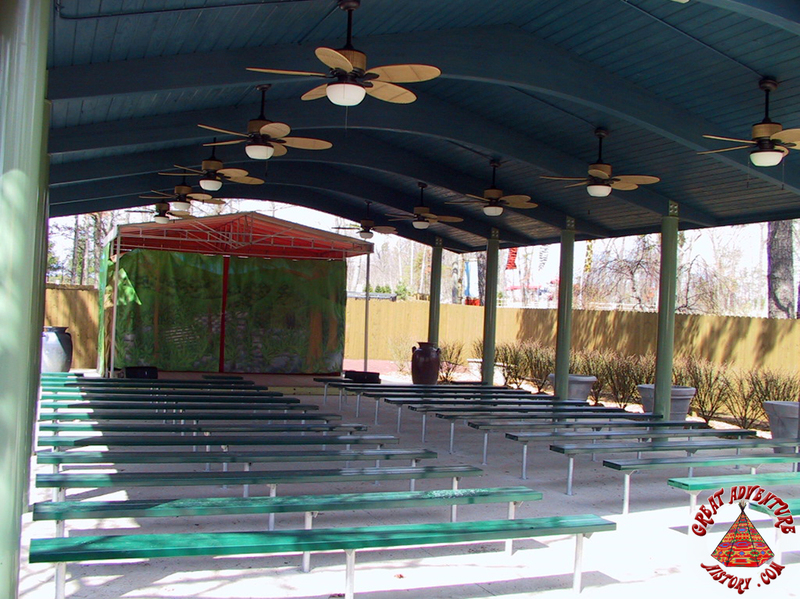 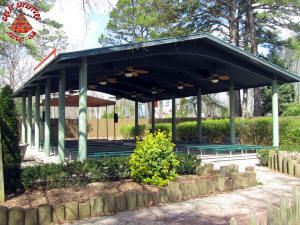 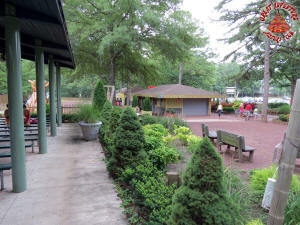 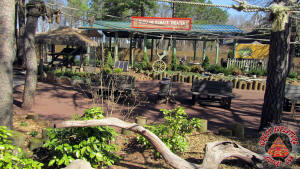 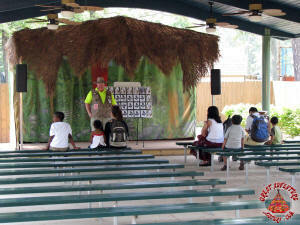 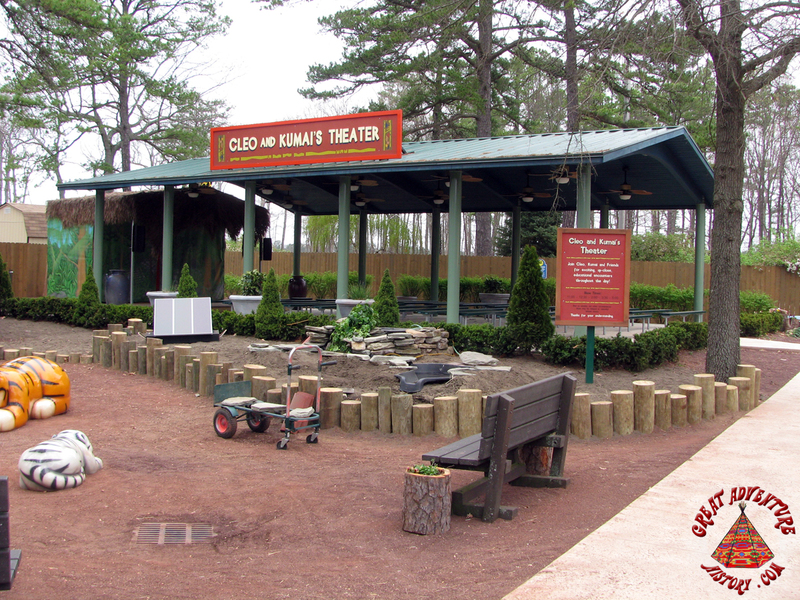 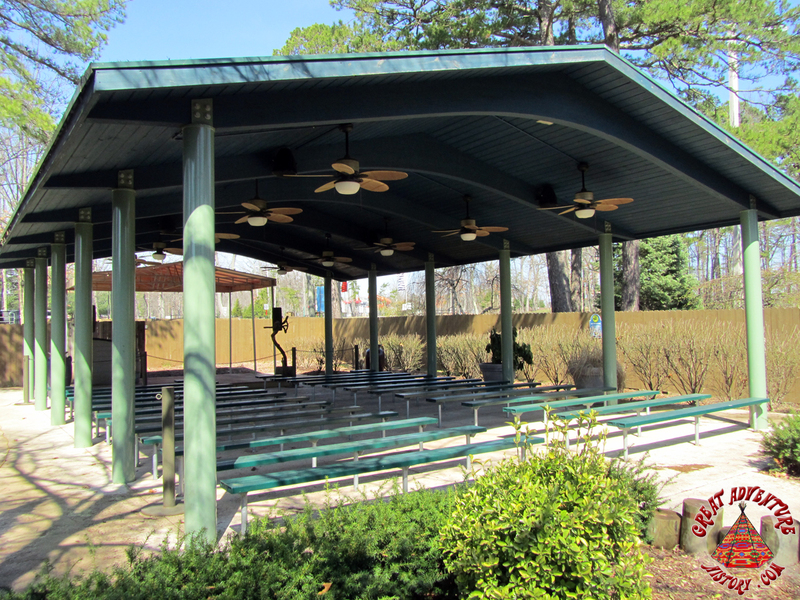 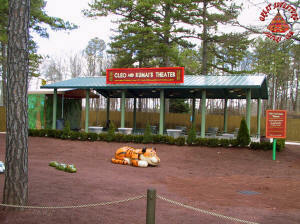 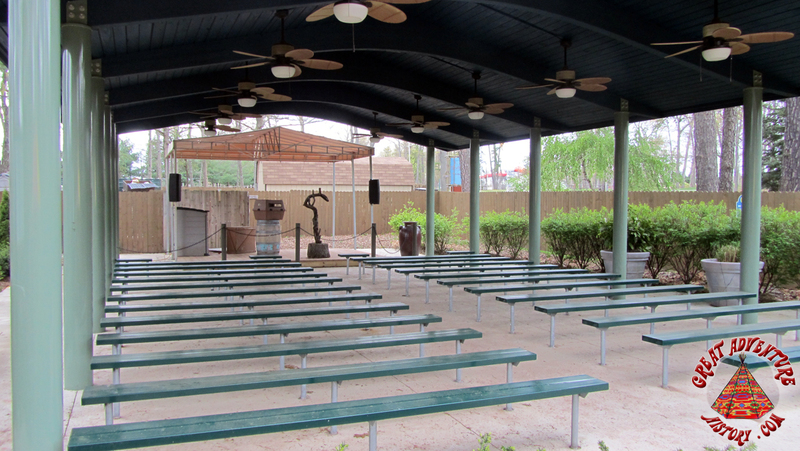 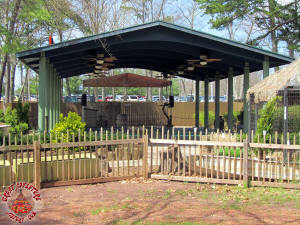 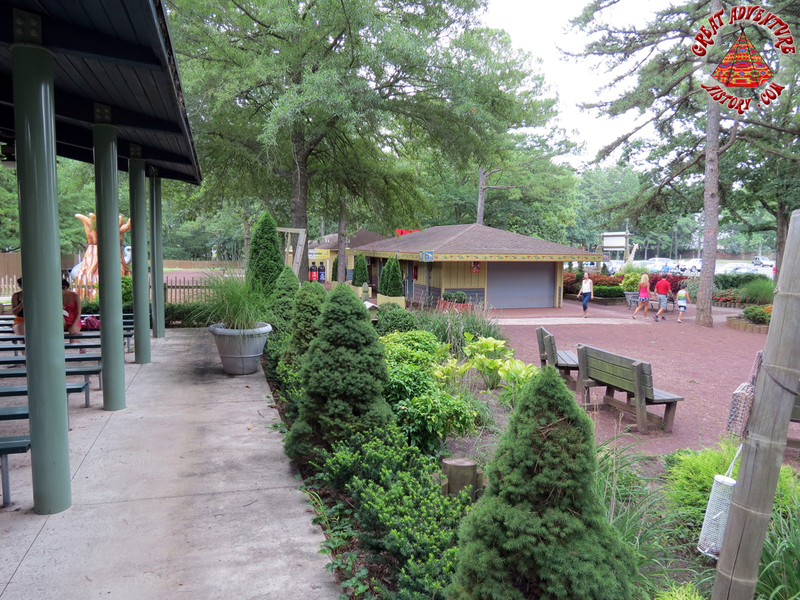 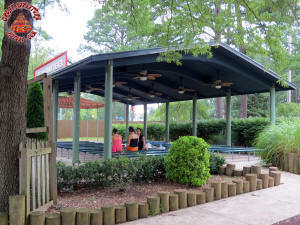 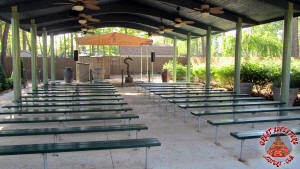 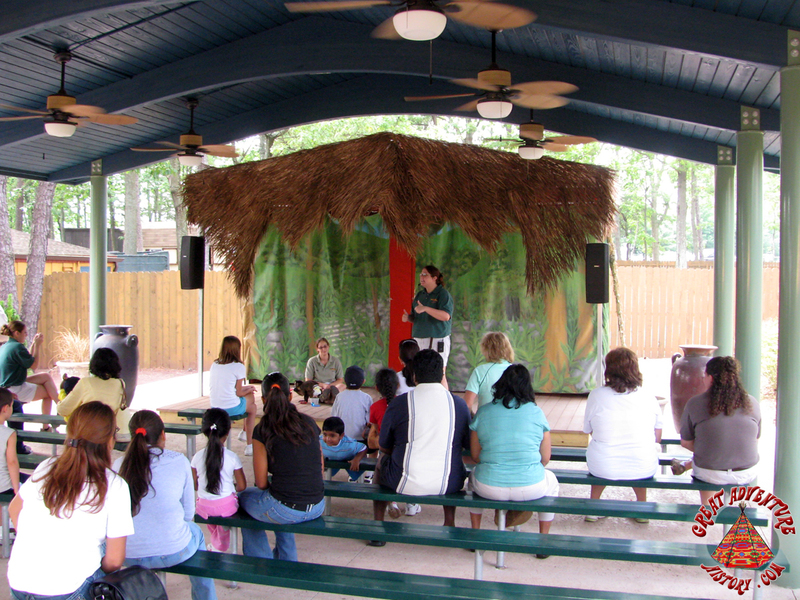 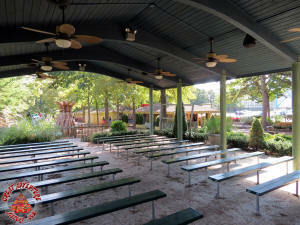 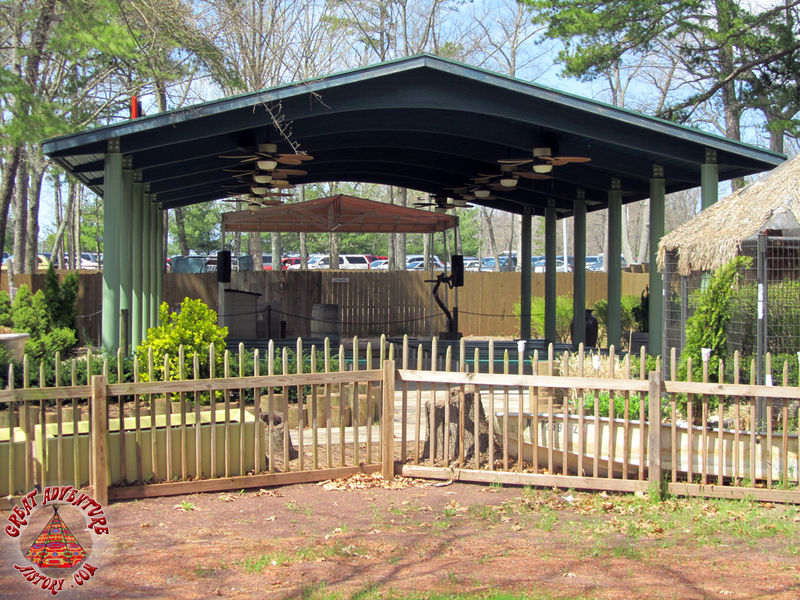 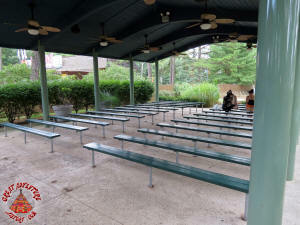 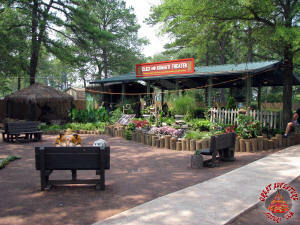 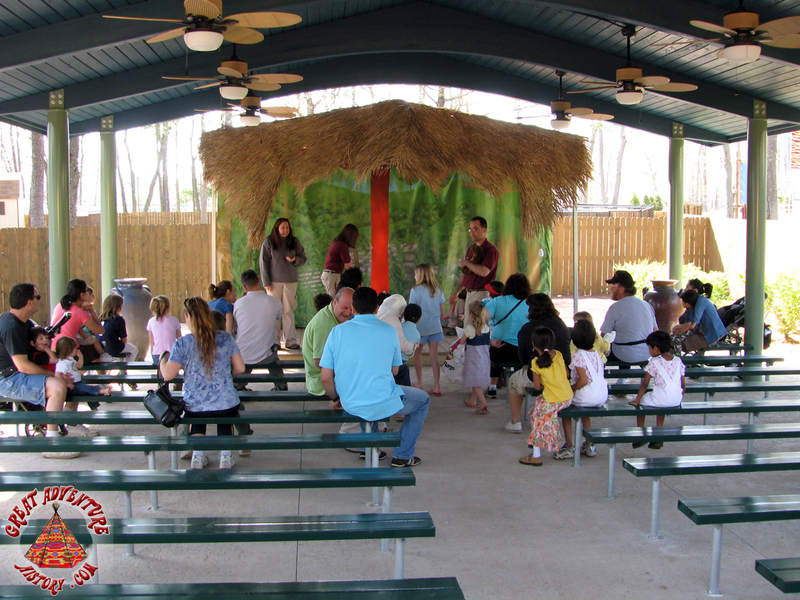 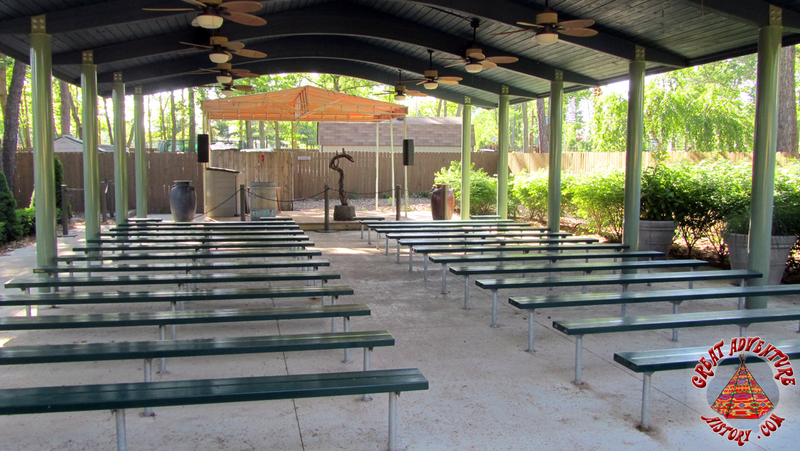 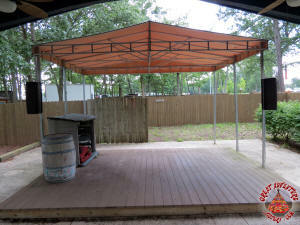 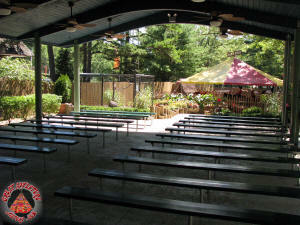 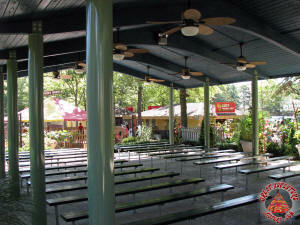 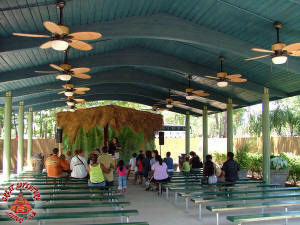 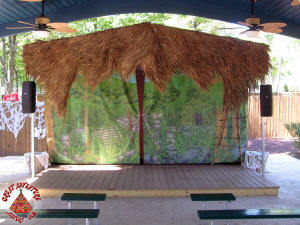 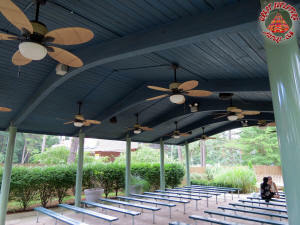 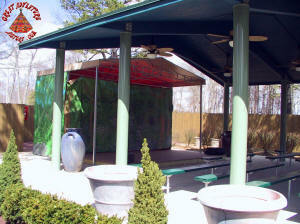 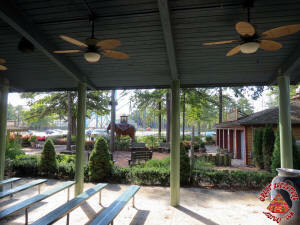 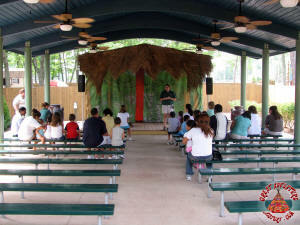 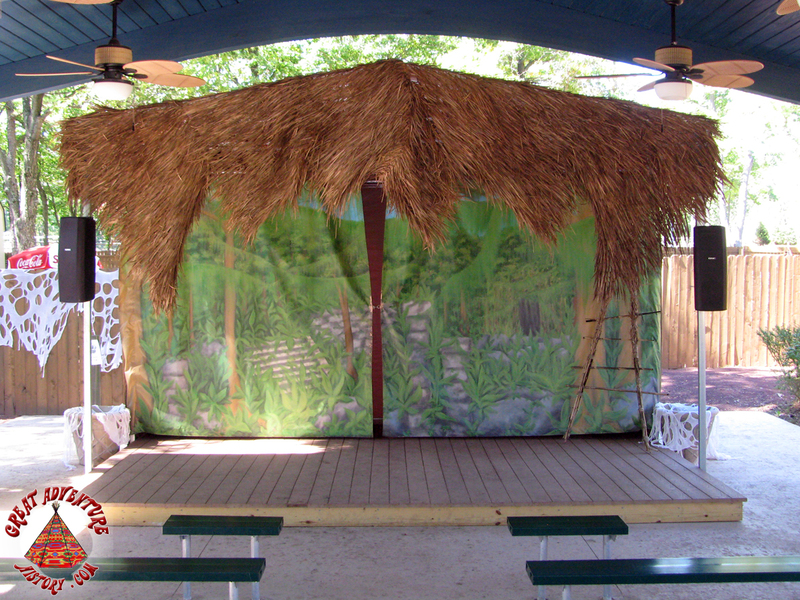 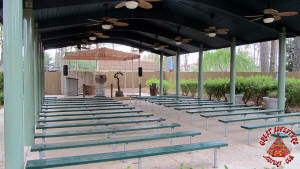 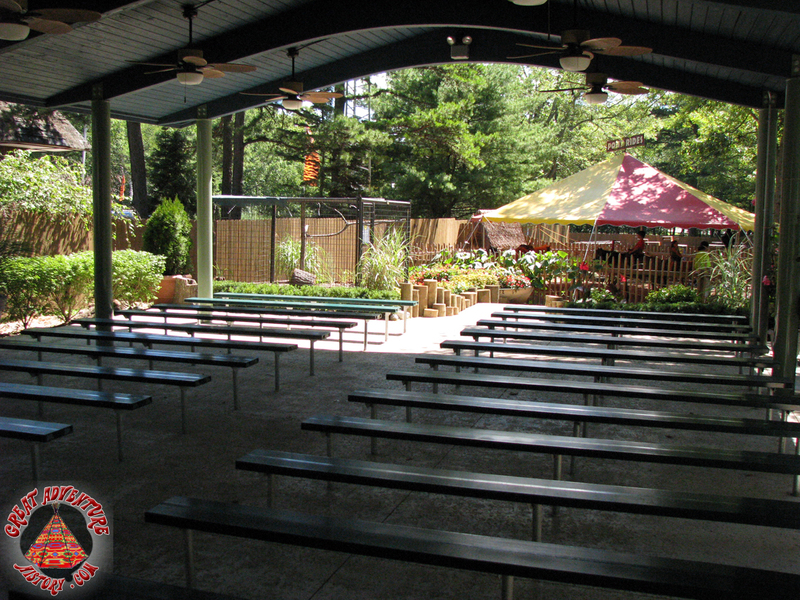 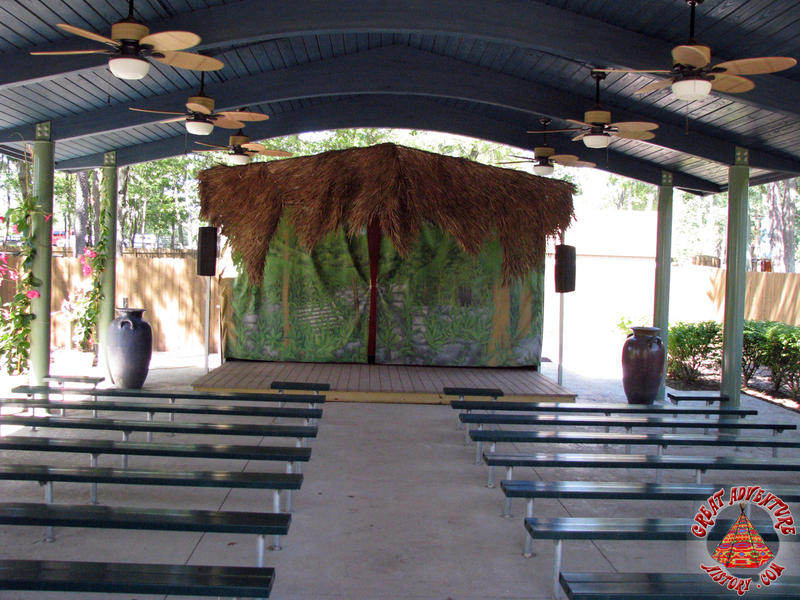 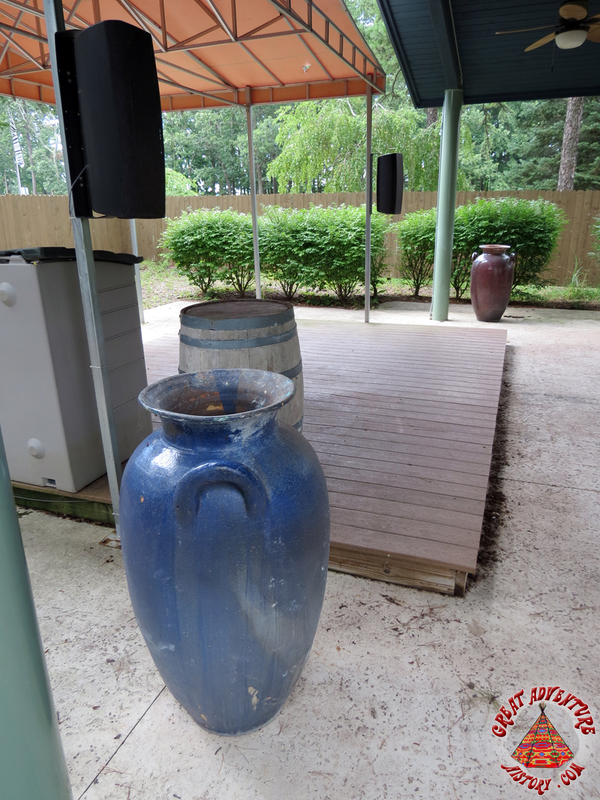 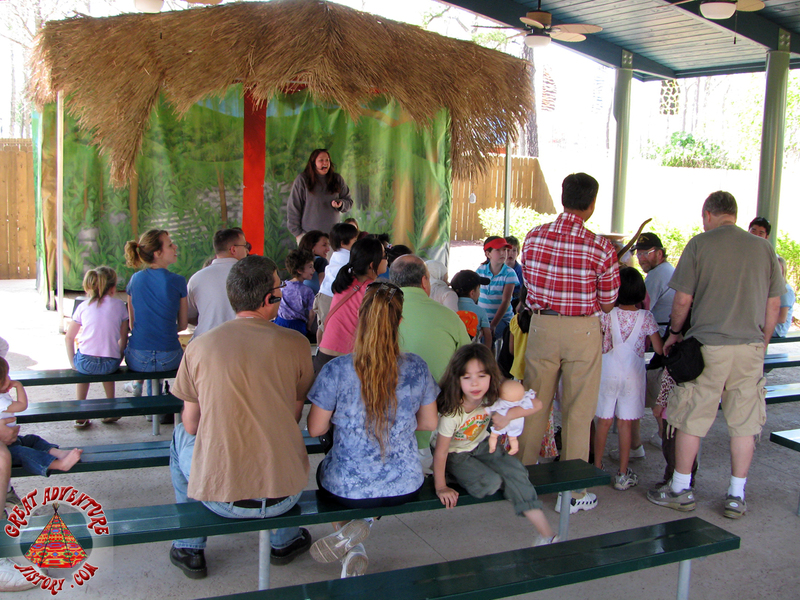 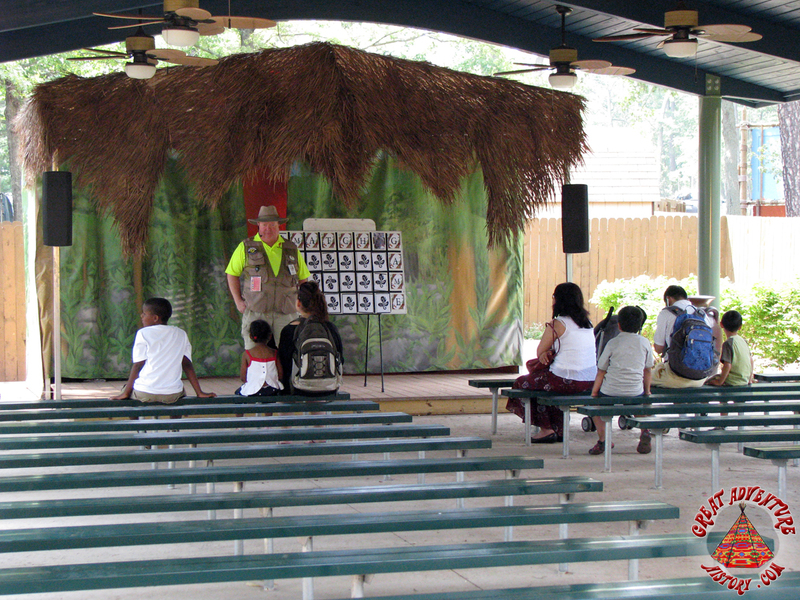 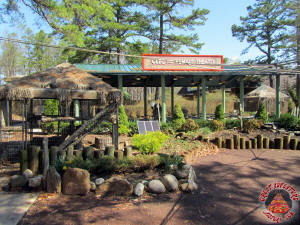 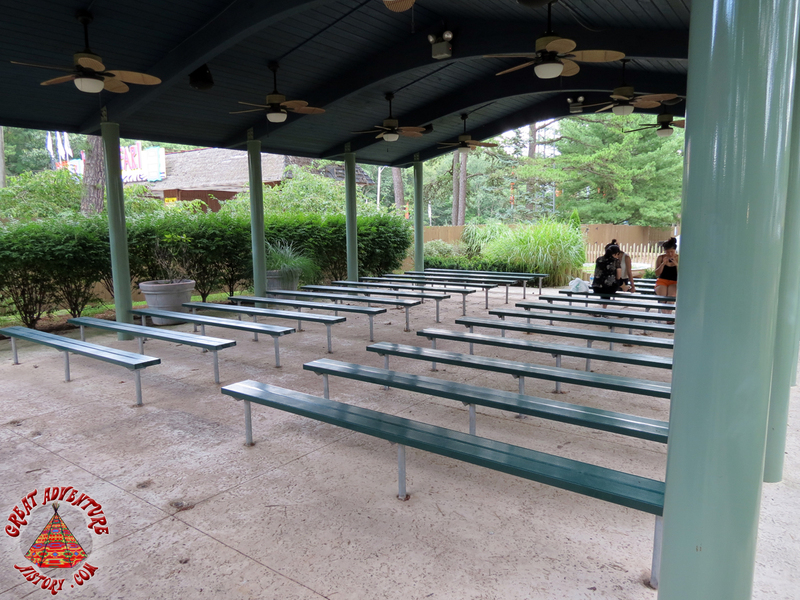 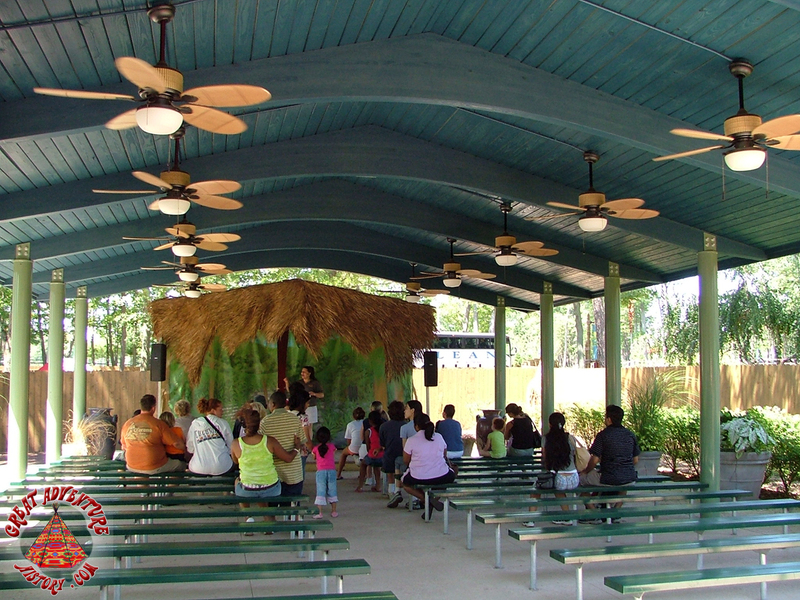 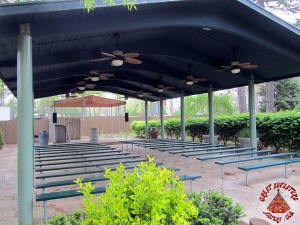 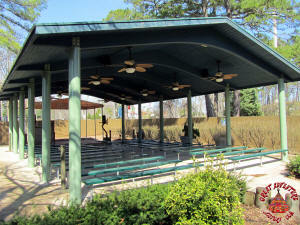 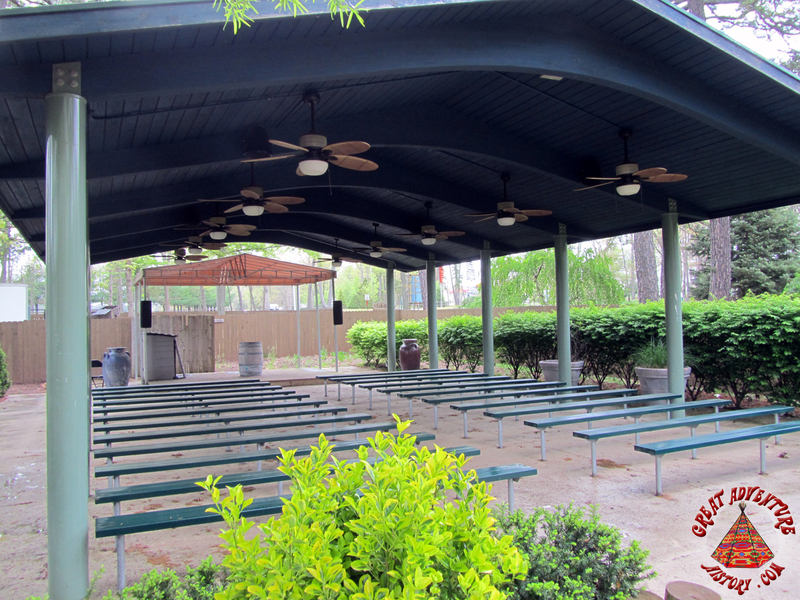 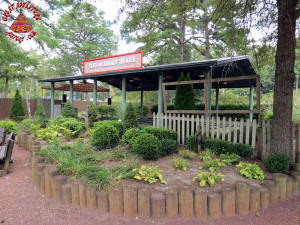 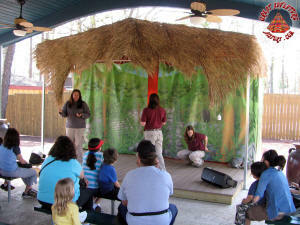 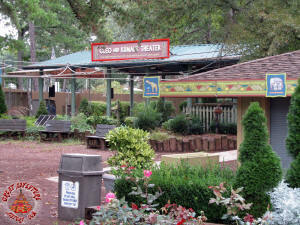 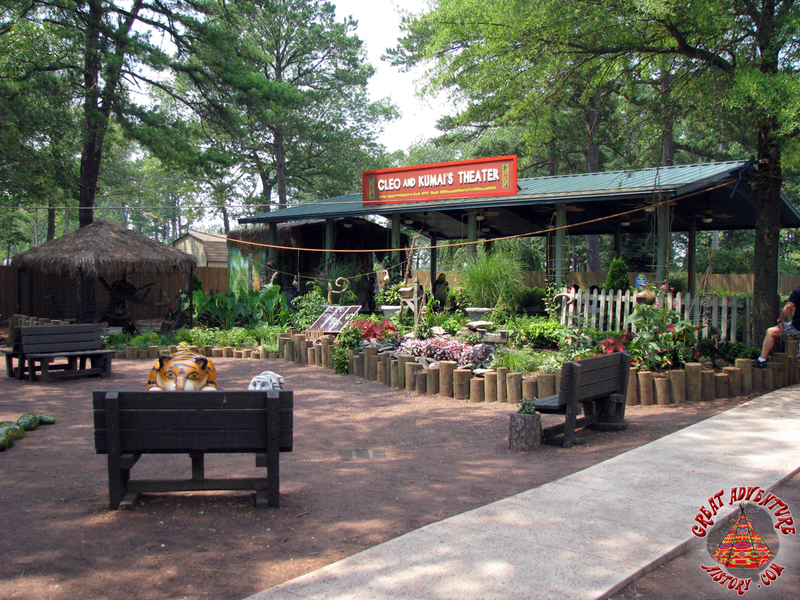 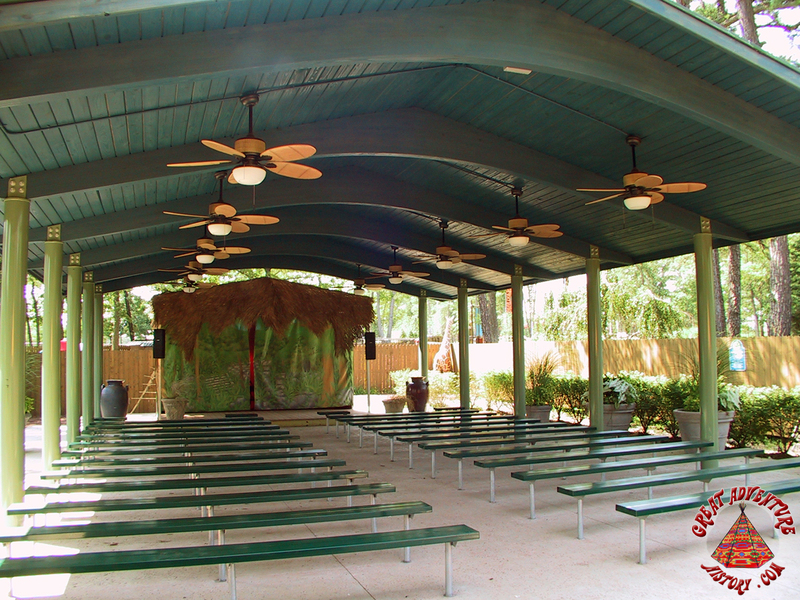 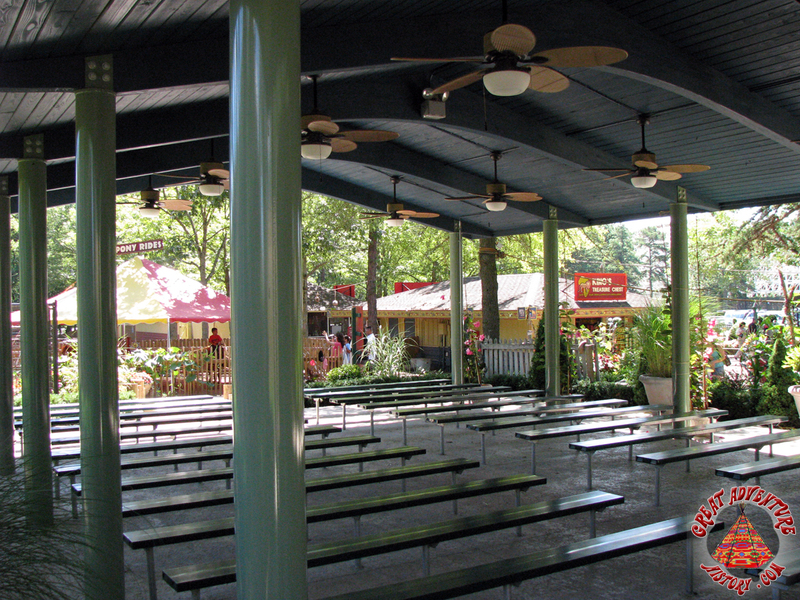 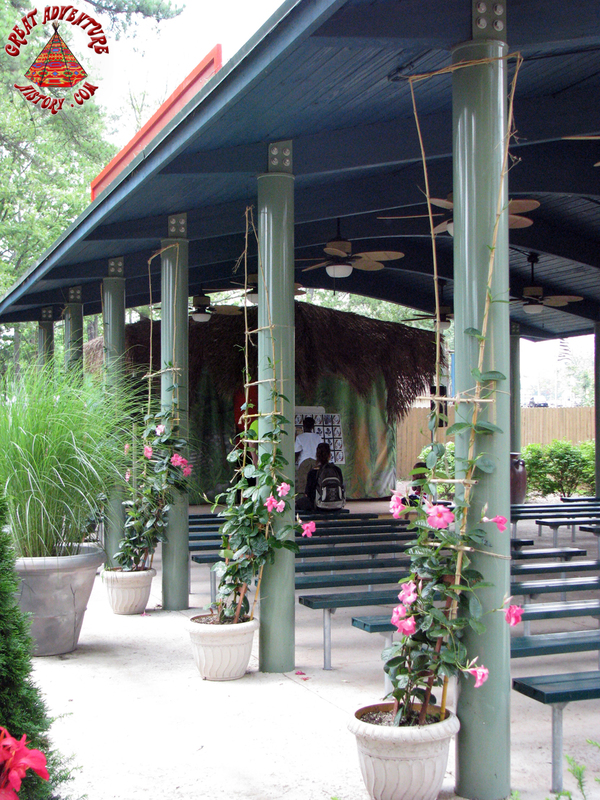 A covered theater structure was a new feature added as part of the Safari Exploration Station area development. 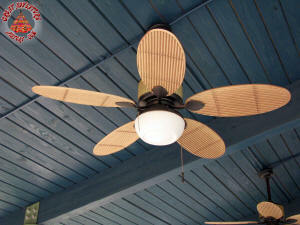 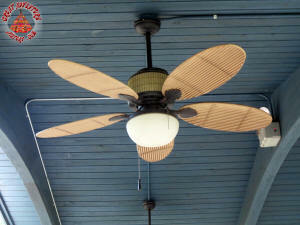 Under its hunter green rigid canopy one could grab a seat on one of the two dozen benches situated under ten large comforting ceiling fans complete with oversized palm leaf blades. 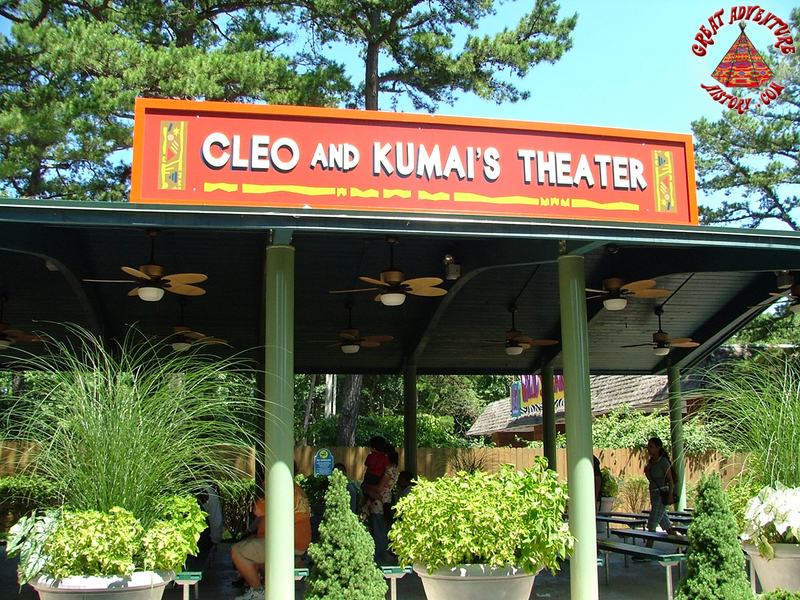 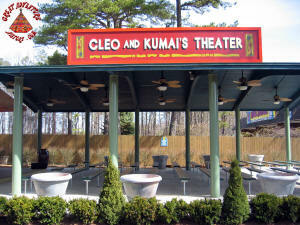 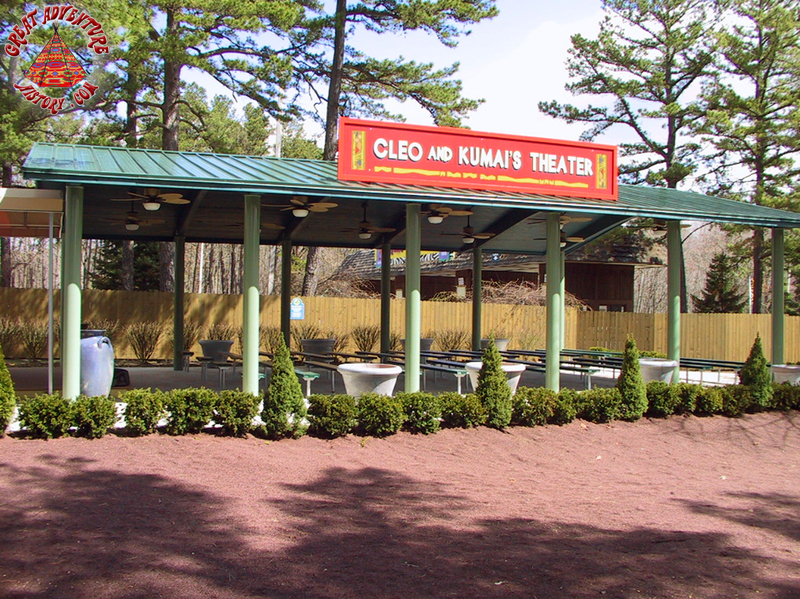 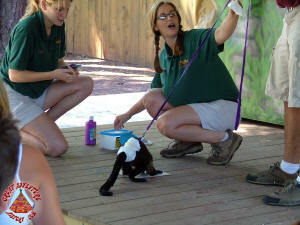 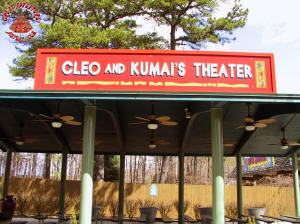 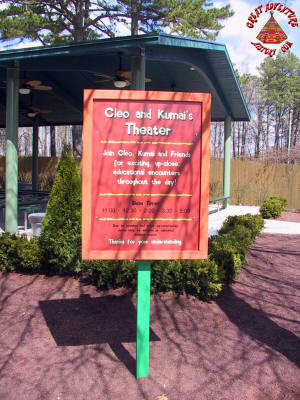 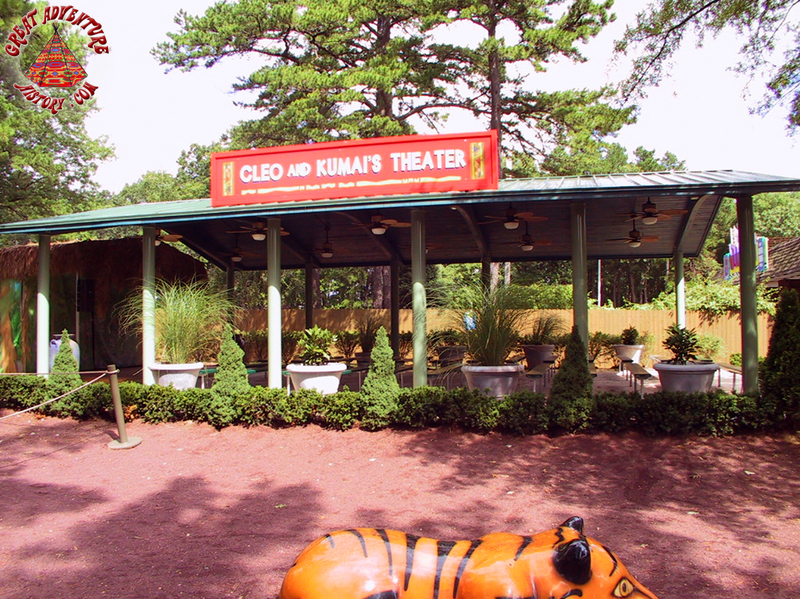 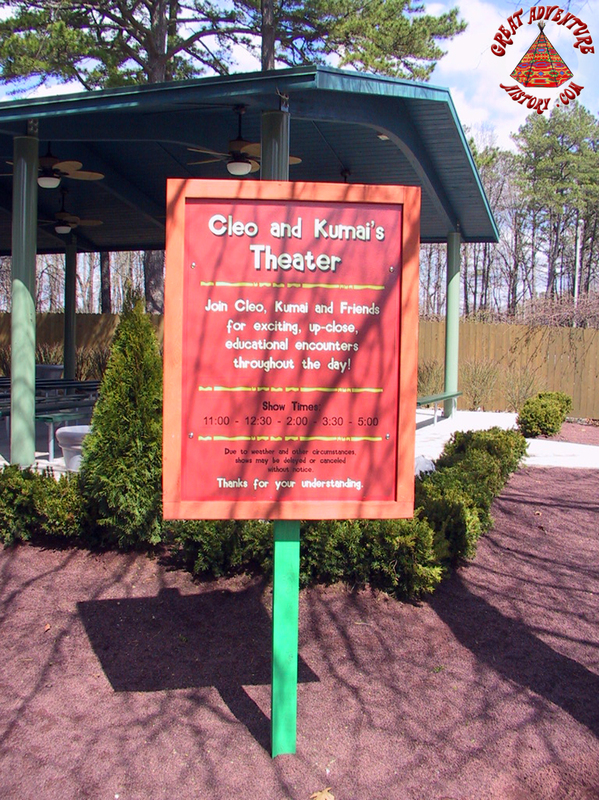 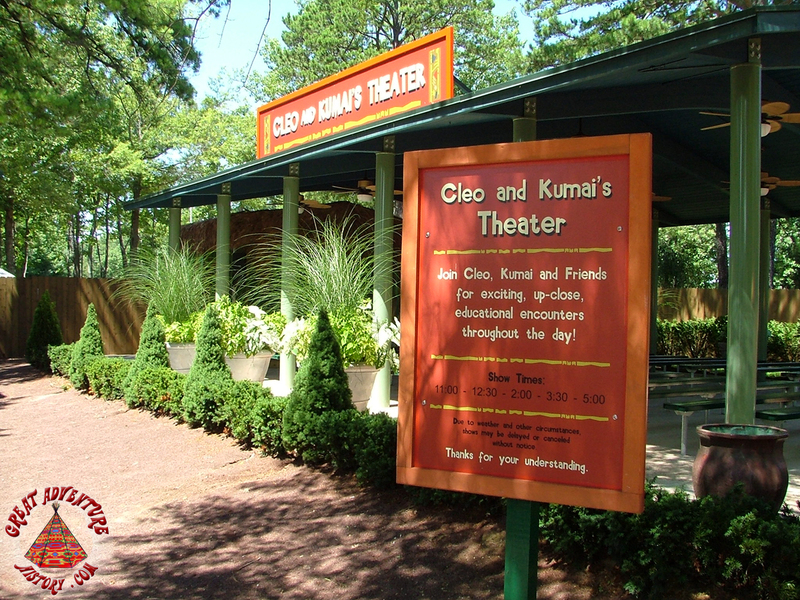 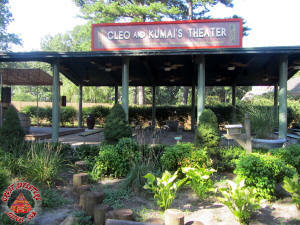 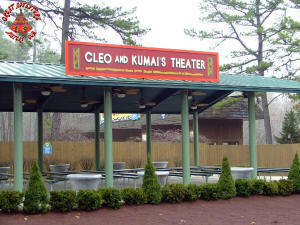 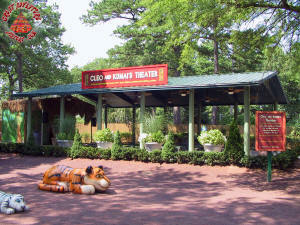 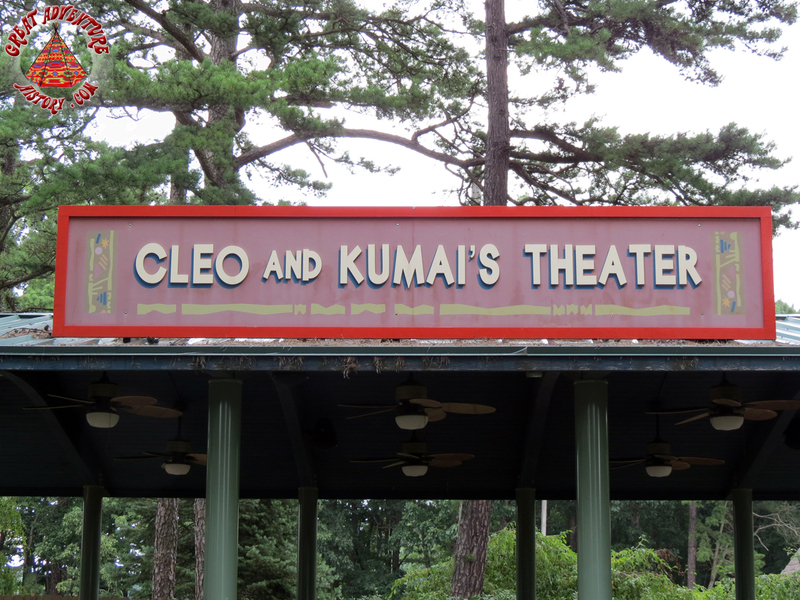 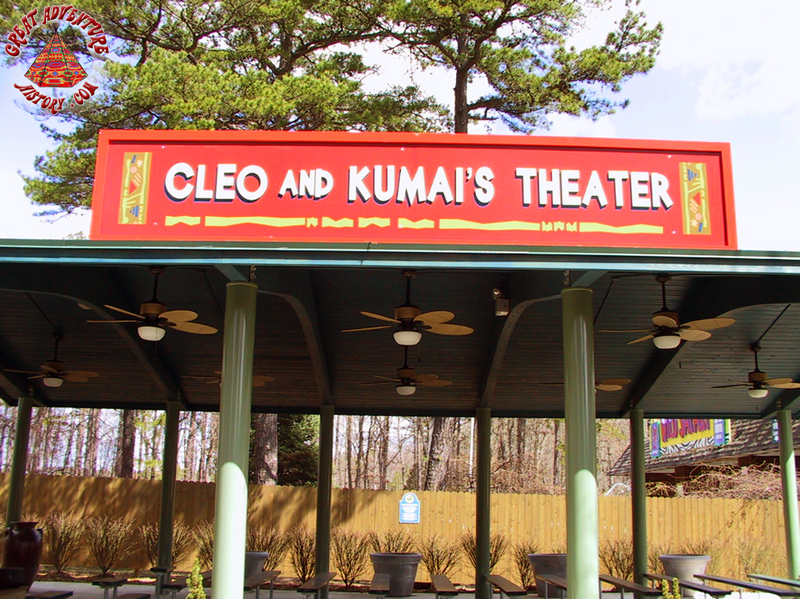 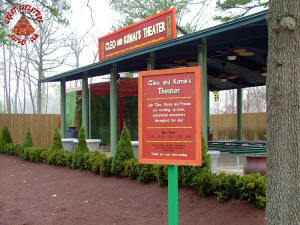 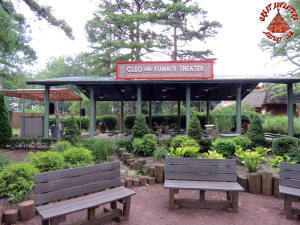 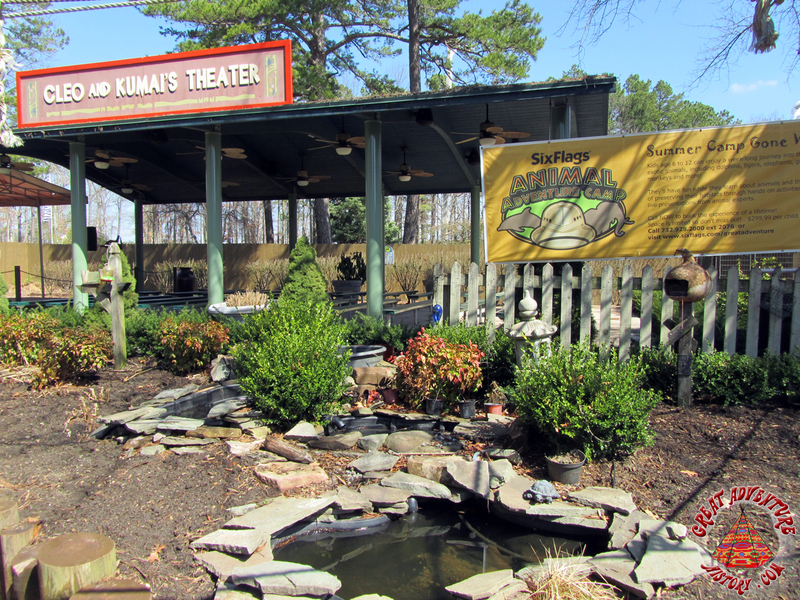 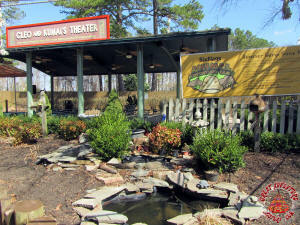 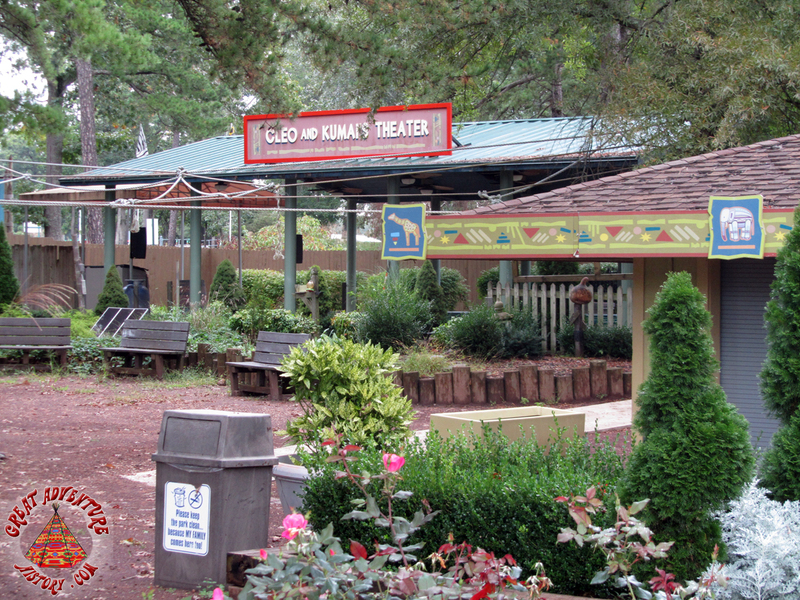 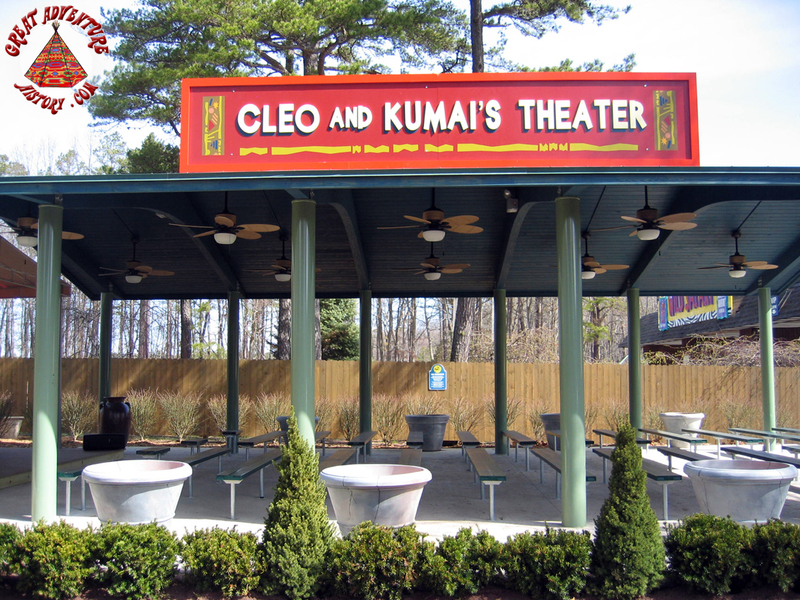 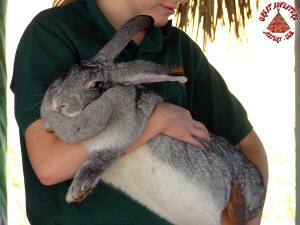 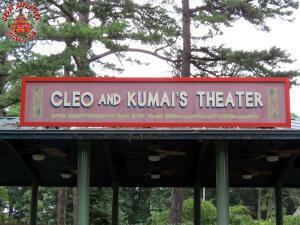 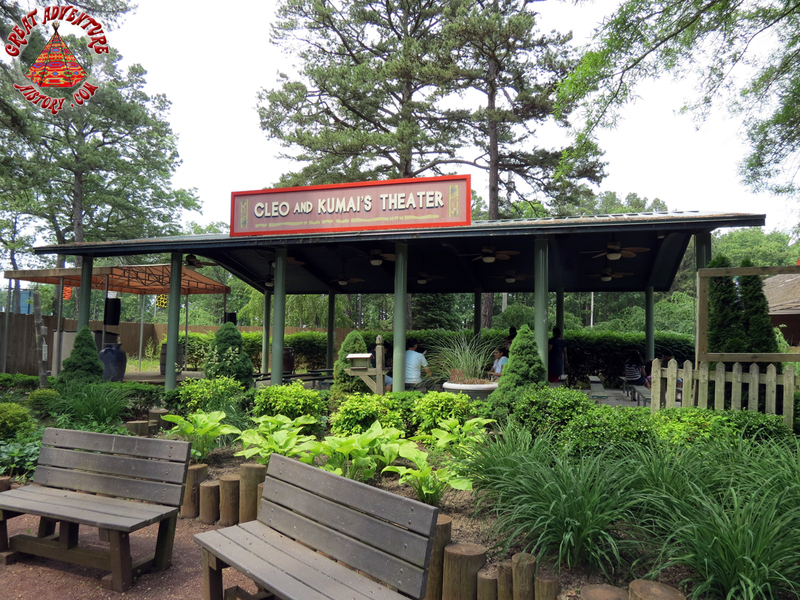 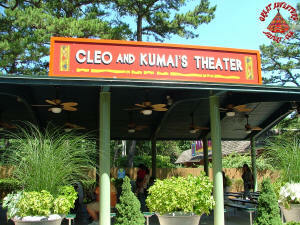 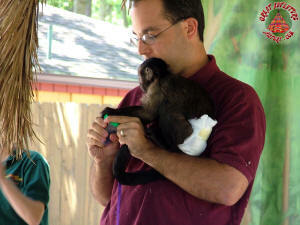 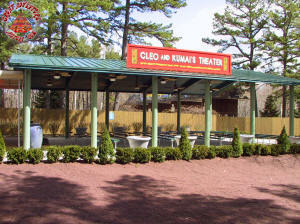 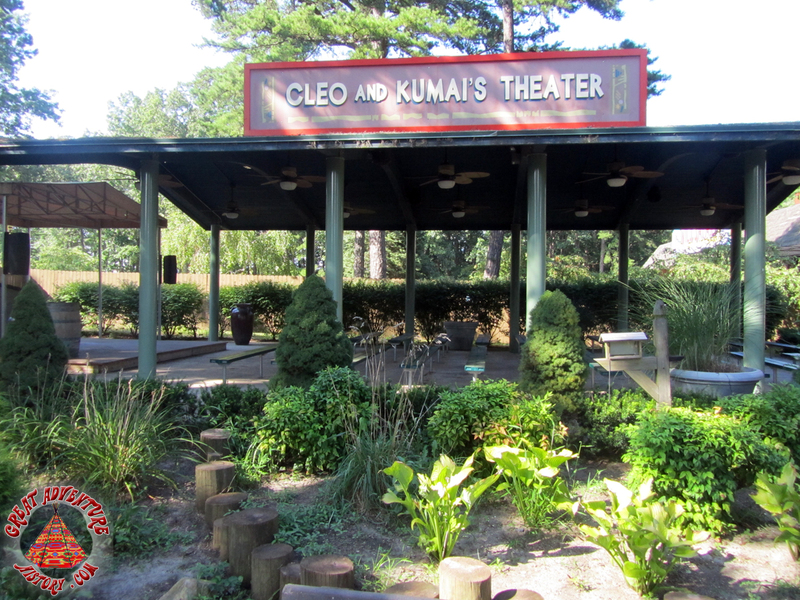 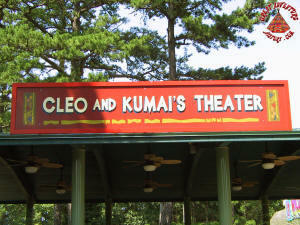 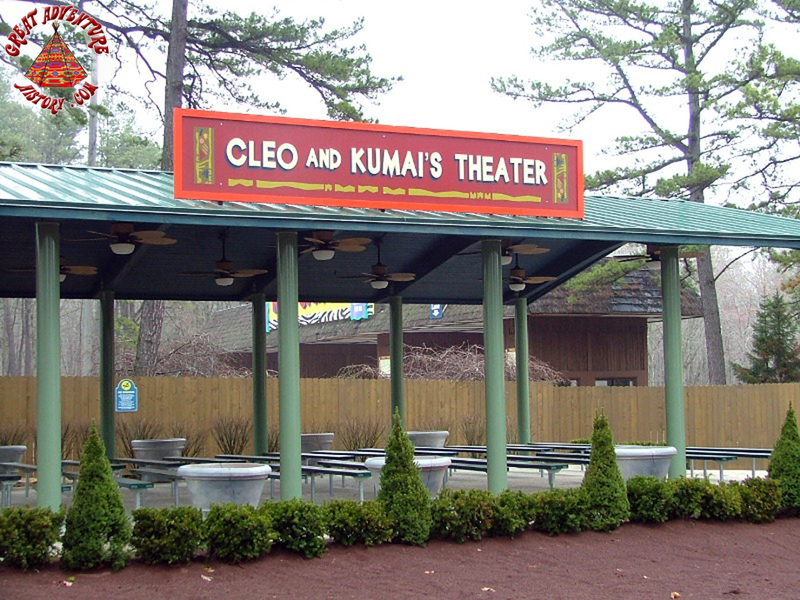 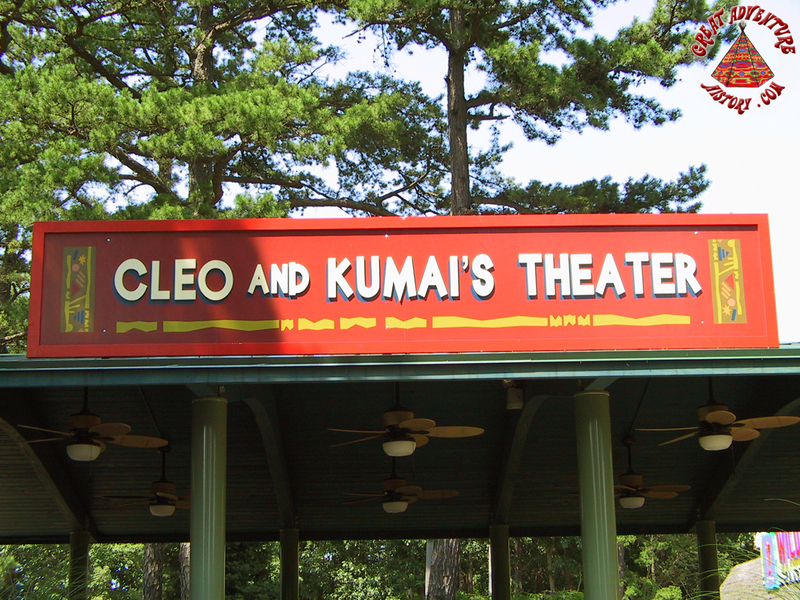 "Cleo and Kumai's Theater" became the new home to animal presentations featuring some of the area's smaller animals including capuchin monkeys, kinkajous, bunny and a host of other animals demonstrating their behaviors. 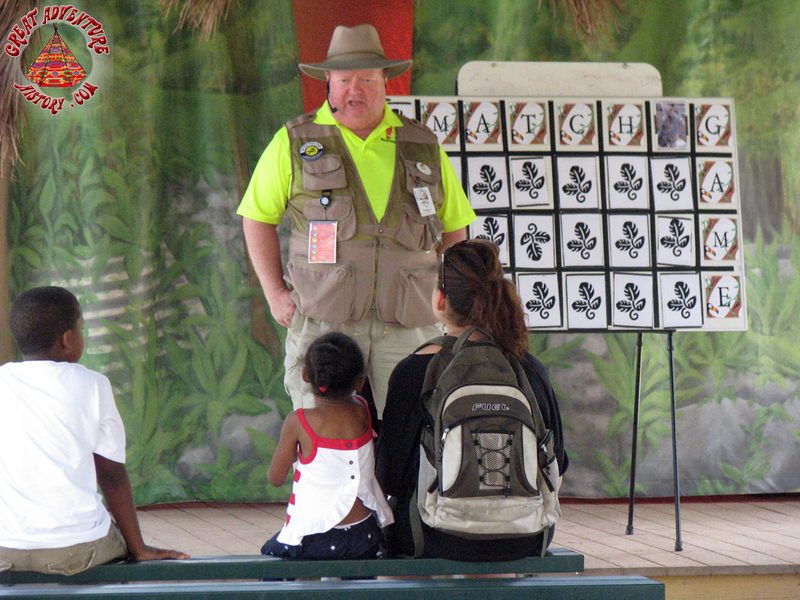 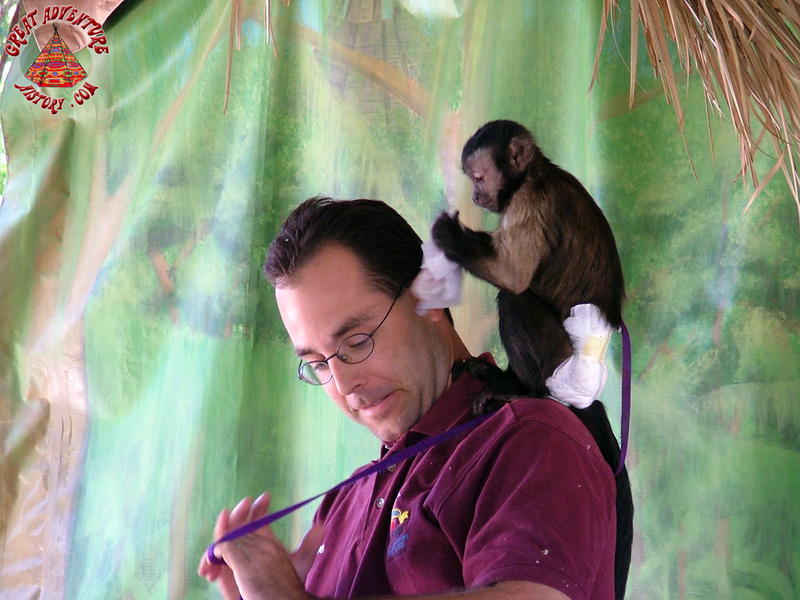 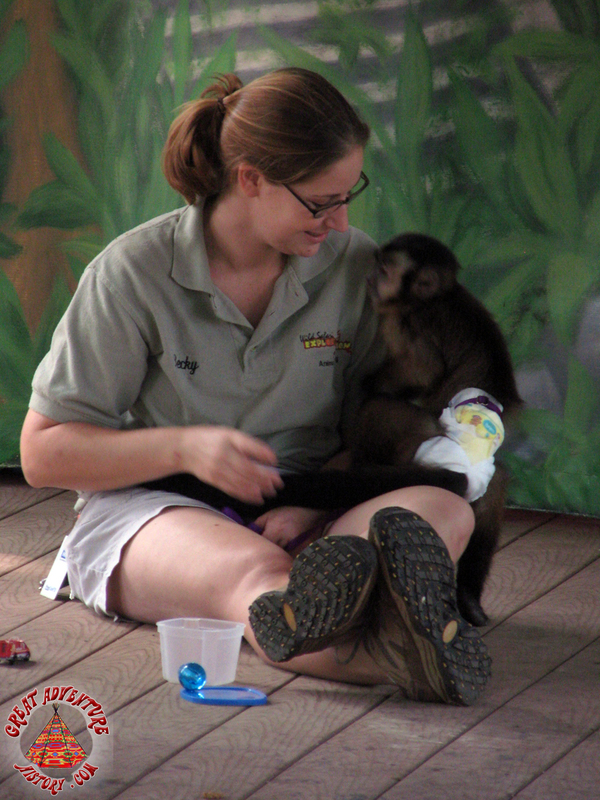 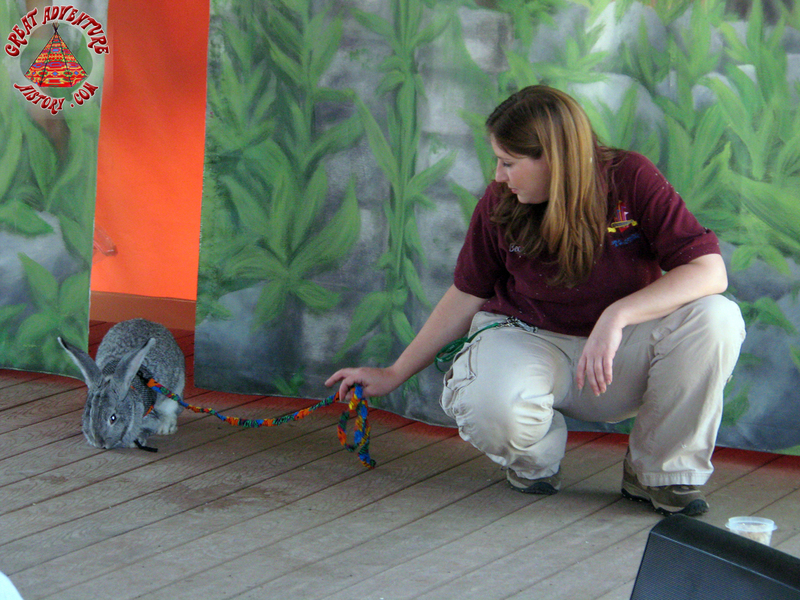 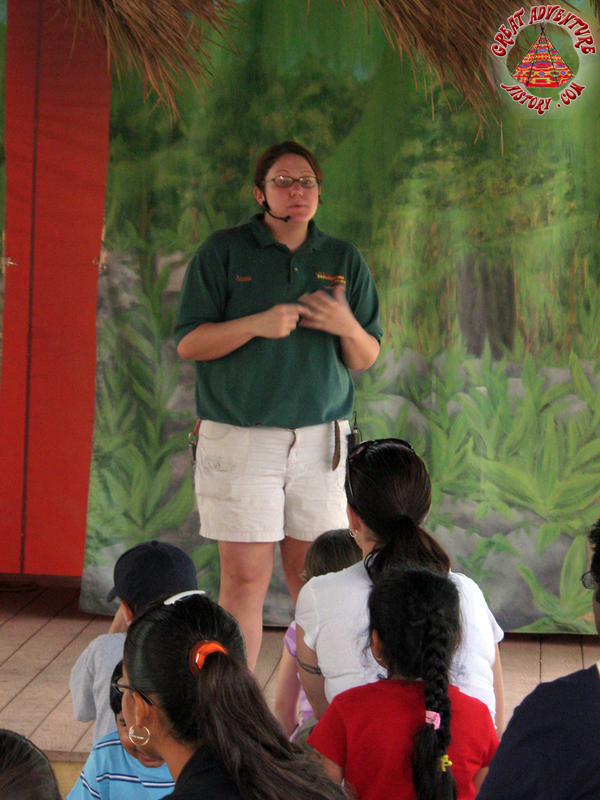 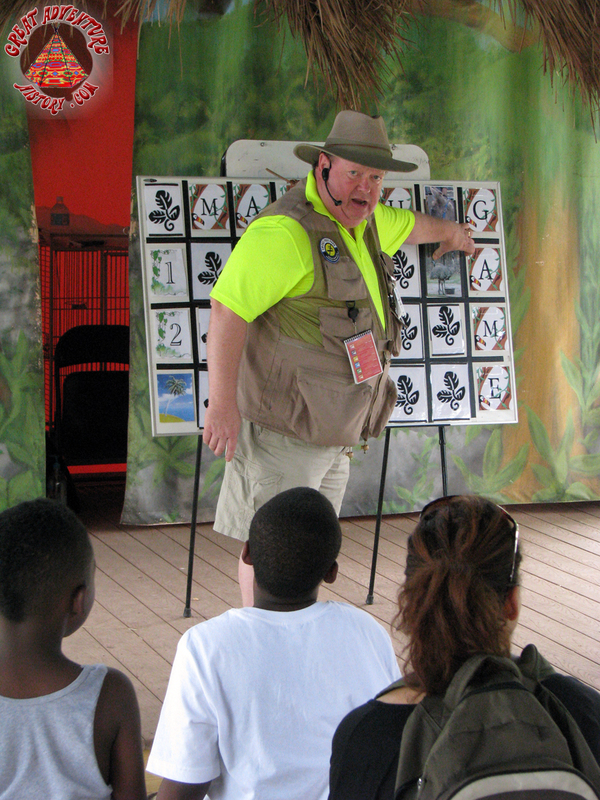 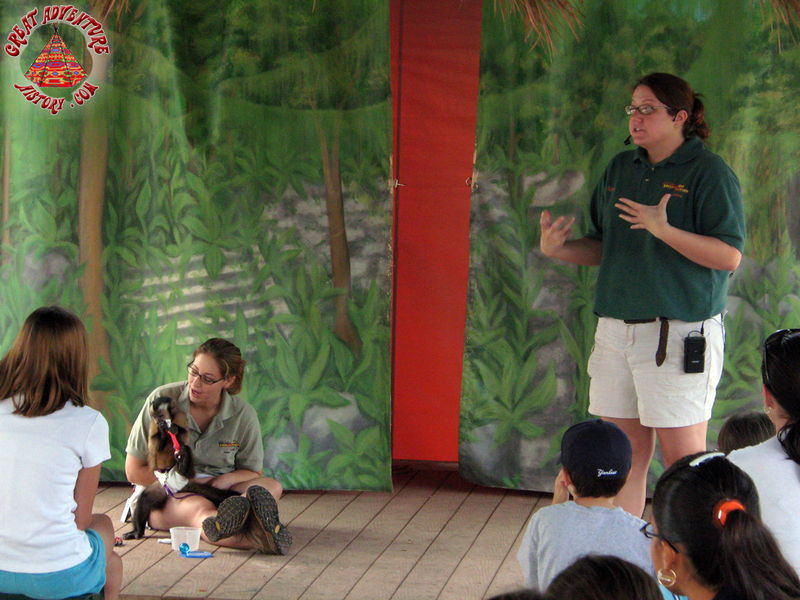 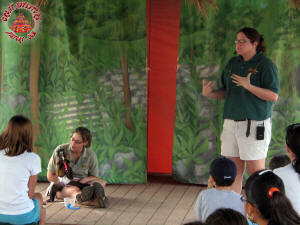 The Animal Ambassadors presented facts and information about the animals and their habitats several times a day, and offered the audience a chance to watch, ask questions, and in some cases touch the animals. 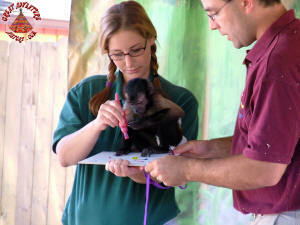 Cleo the Capuchin Monkey gave demonstrations of her finger painting abilities, and a gallery of some of her artwork was on display in the adjoining "Doc's Discoveries" building. 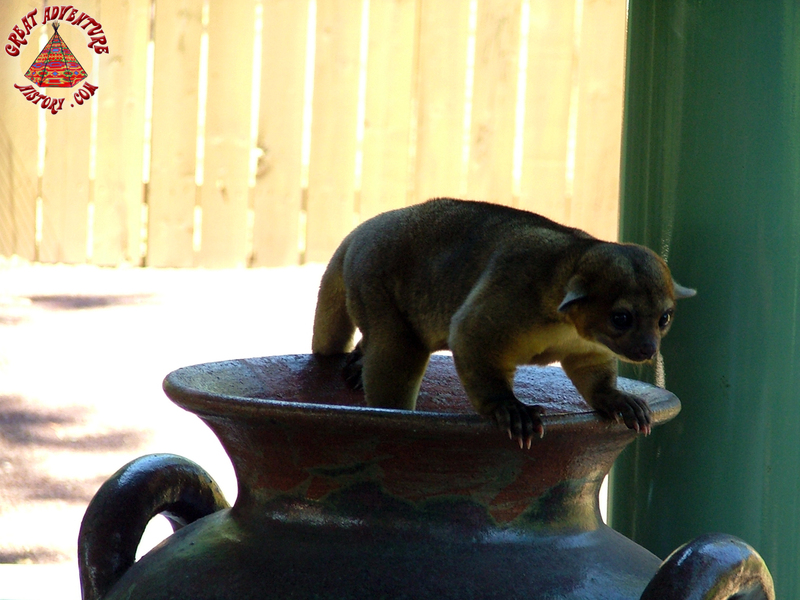 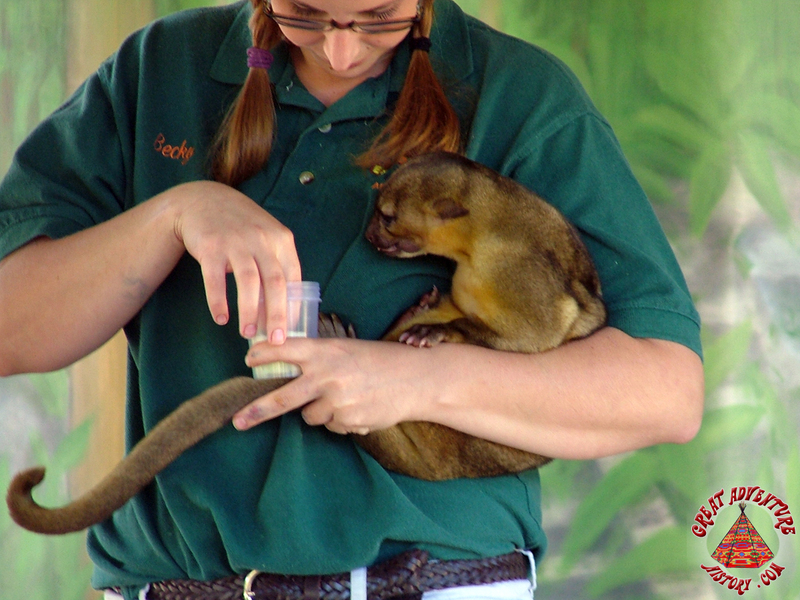 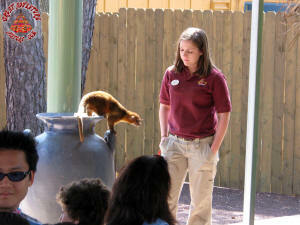 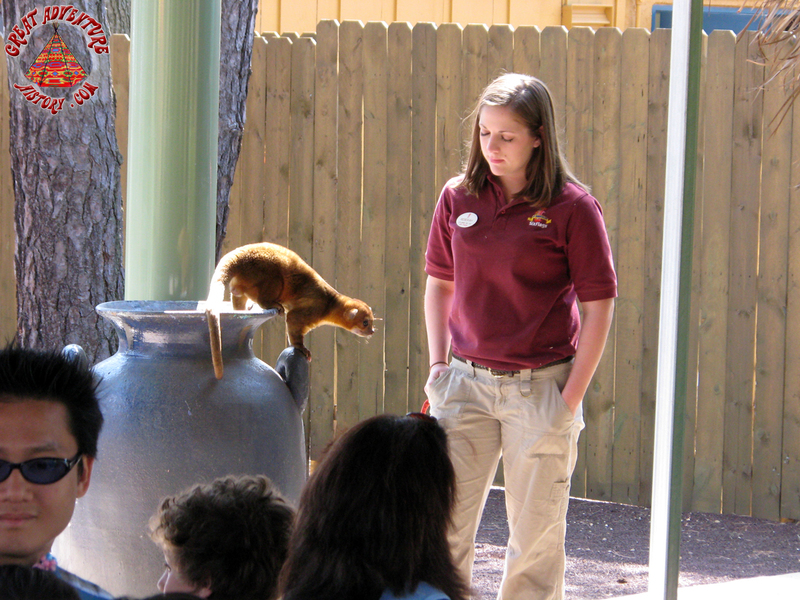 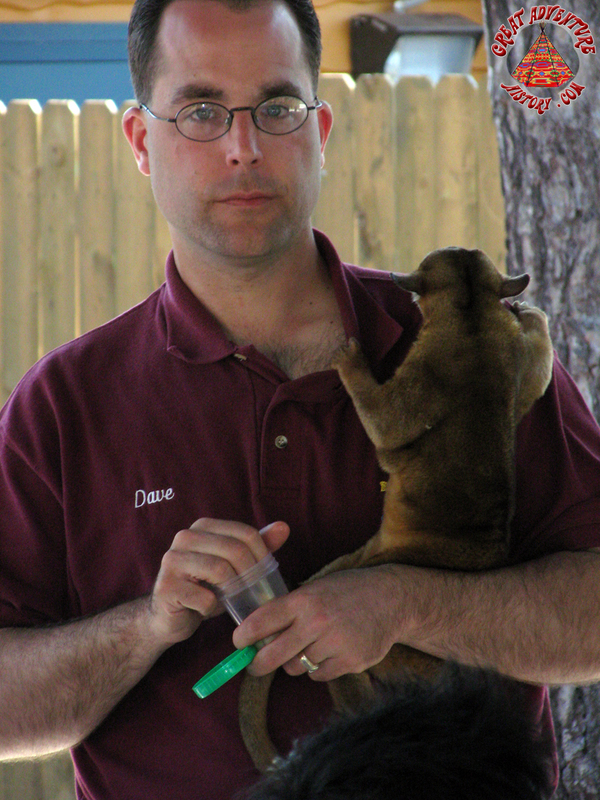 Kumai the Kinkajou was a crowd favorite, climbing the posts and scenery, and even the Animal Ambassadors themselves. 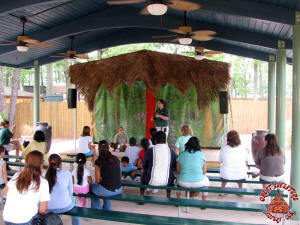 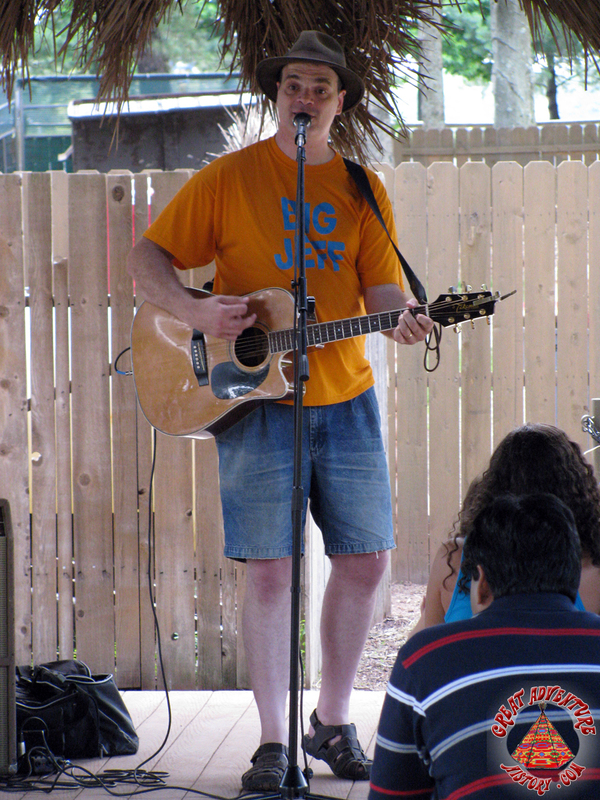 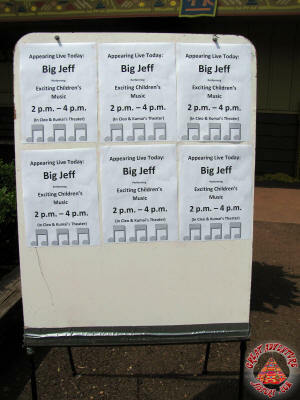 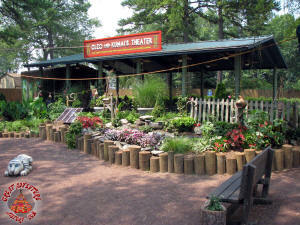 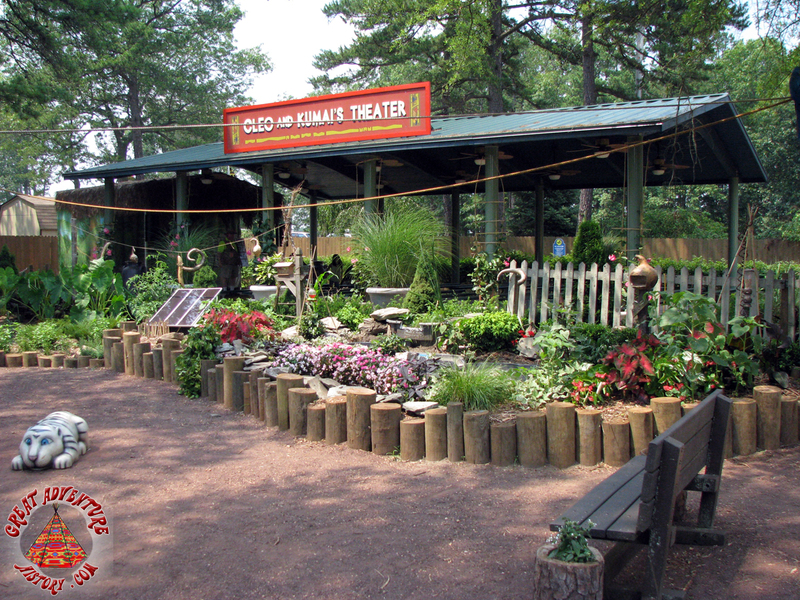 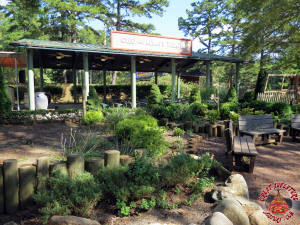 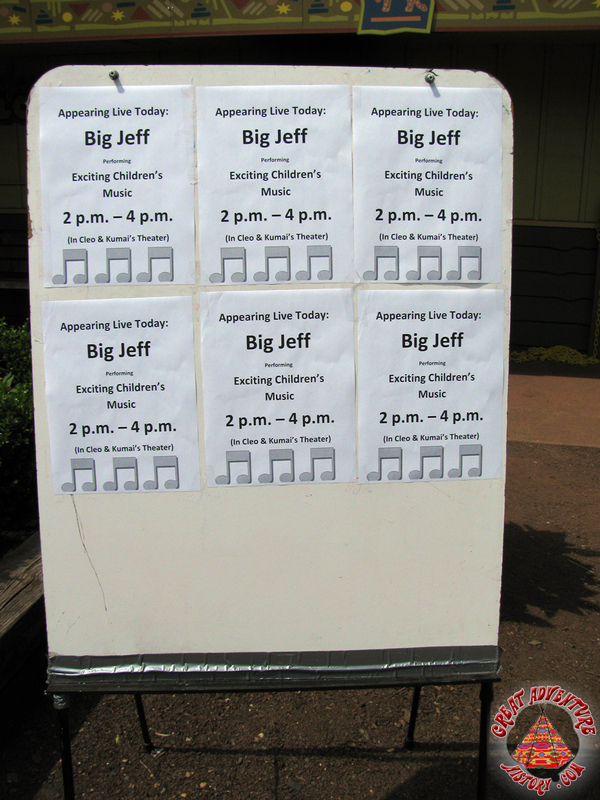 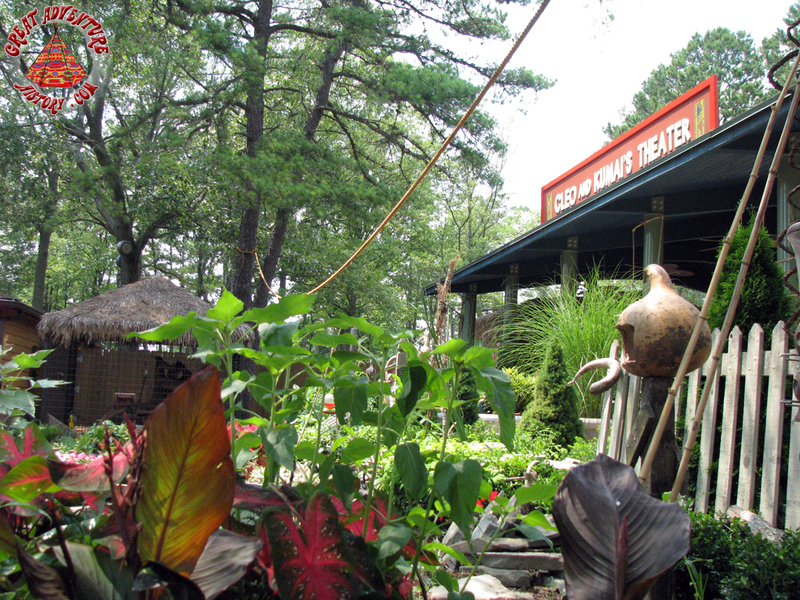 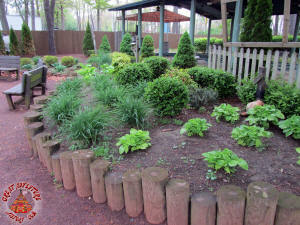 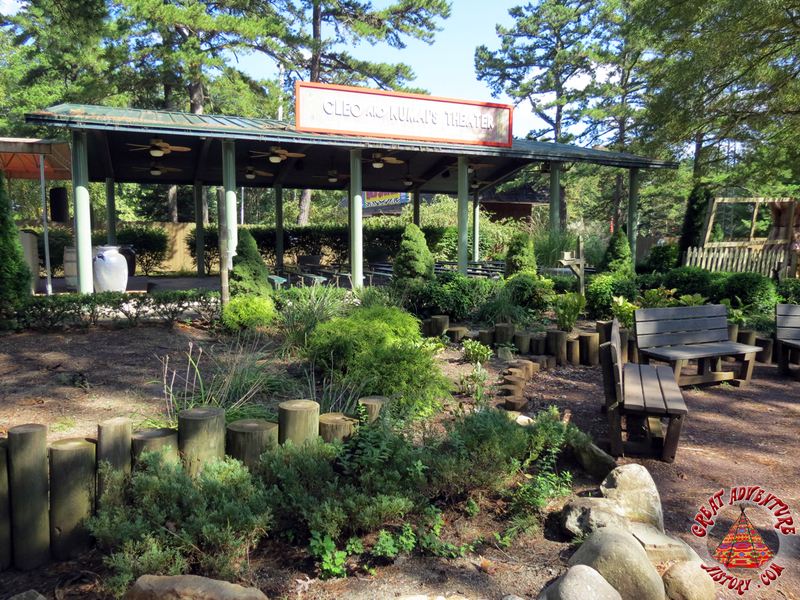 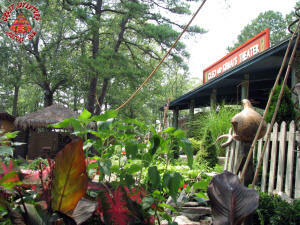 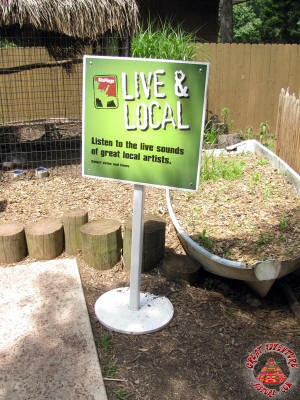 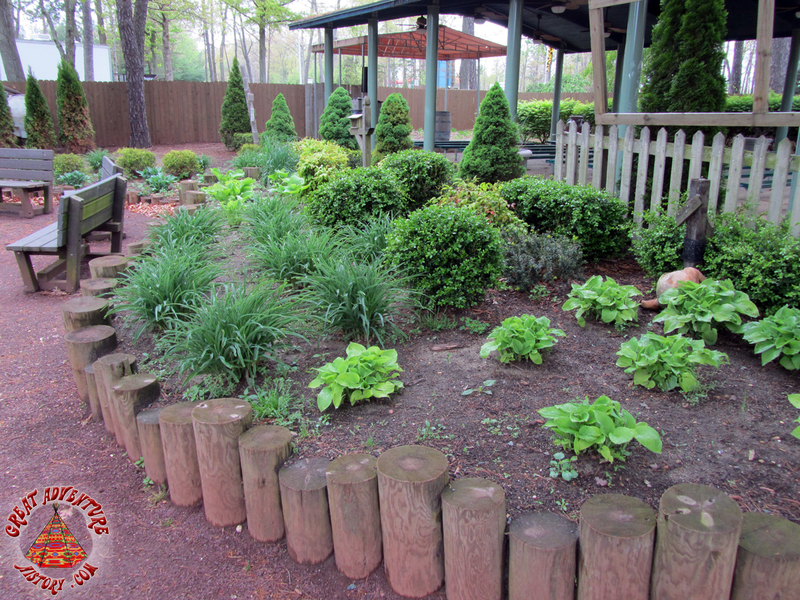 Regularly scheduled shows dropped off the entertainment lineup at the Station's theater sometime around 2009 and the venue became more of an impromptu spot for demonstrations and the occasional music act or children's interactive activities.